Want to quickly find and select your boot disk amidst a variety of other internal and external drives that are sitting on the desktop? Just hit Command+Shift+↑ (Command + Shift + Up Arrow) to immediately choose the startup drive on the Mac OS X desktop from anywhere in the Finder. This command is what the Go To Parent folder shortcut turns into when you hold down the Shift key, which is appropriate given the startup disk is the ultimate root directory to anything else on the boot volume. Remember, if you’re looking to change the actual startup disk of the Mac, you can either do that on boot by holding down the OPTION key, or select a different startup volume from the System Preferences of OS X. Either works. 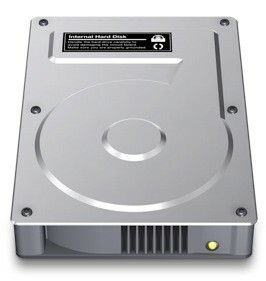 Either from the menu item or the keyboard shortcut, the startup disk will immediately be selected on the desktop. If you have the desktop disabled (as in, all the icons hidden), this trick will not work obviously. So, using this shortcut I can select my Boot Camp partition without having to select it from System Preferences? No, if you have your Hard disks visible on your desktop use this shortcut to select it in the Finder. This really doesn’t do anything if the Hard disks are not visible. Use something like Quickboot (free) to easily boot into Boot Camp without going to the System Preferences. I don’t get this hint either and it is not working for me. This does not work on my system. Does it not work with BT keyboard? It doesn’t change your startup disk, just highlights it on the desktop so you know which one it is. Once menu drops down, just pressing the shift key brings up the start up disk choice.